Ethics, diversity, sustainability and related values such as lifestyle and social responsibility are very popular values today. Let’s give some thought to how they stack up and where they might fall short as the focus of an organizational culture. Ethics – or simply “doing the right thing" – is very important to every organization. I think there is no organization that can ignore it. It may be that each organization might look at the unique challenges it has related to ethics and emphasize them as part of their culture, but these may not necessarily fall only under ethics. This is an admirable pursuit, and one that has the benefits of bringing together diverse viewpoints, which can add a lot of value. However, there are limits to this. For example, companies serve clientele from specific geographies, cultures, income levels, interests, and more. It is critical that any organization recognize that resources are limited and that they need to respect that fact for the future of the planet. However, I think sustainability can also refer to the ability of the organization to continue to exist and flourish into the future through managing resources (people, equipment, material, money) in responsible ways to sustain itself into the future. This would have broader impact on the culture of the organization. Due to changes in technology, it is possible to offer employees a broader range of lifestyles than previously. However, not every company can do that so easily. For example, in a construction company, a carpenter cannot work remotely! While companies can strive to help make life better for their employees, they also must especially focus on doing well at the job they do. Most people want to contribute to the greater good. However, it’s how they do it where there are differences. Every organization has a constituency, and thus it is important to think about how they are helping the world, whether it is by providing good service, providing reliable deliveries, creating good materials, providing accurate information, or some other way of serving humanity. All these things contribute the greater good. 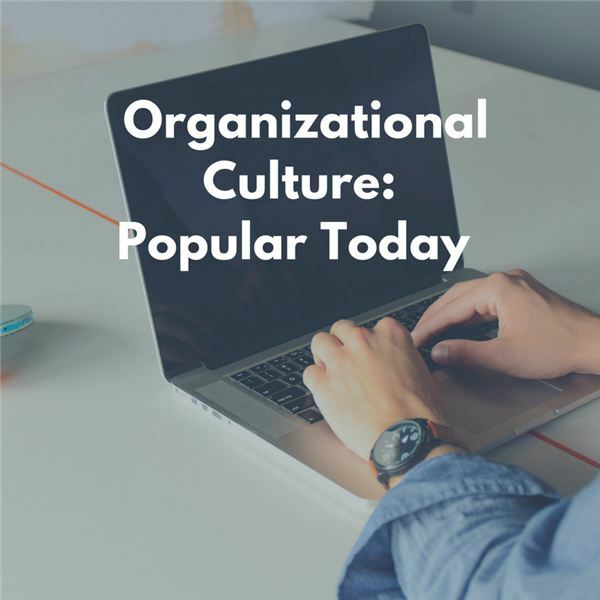 How does your organization’s culture align with popular values to day…and what additional values that are not as popular does it exhibit?